So, everyone in China is being encouraged to leave the rural areas and seek their fame and fortune in the cities. Whilst we have become increasingly aware of some of the social stories around rural depopulation; children growing up with absent parents and ghost like villages inhabited only by the elderly, there is a huge cost in the agricultural land itself losing its custodians. Whereas a rural population has food sources close at hand, feeding big cities increases logistical problems of transport, time, space and waste. Changes are afoot. China’s population eats a lot of food. 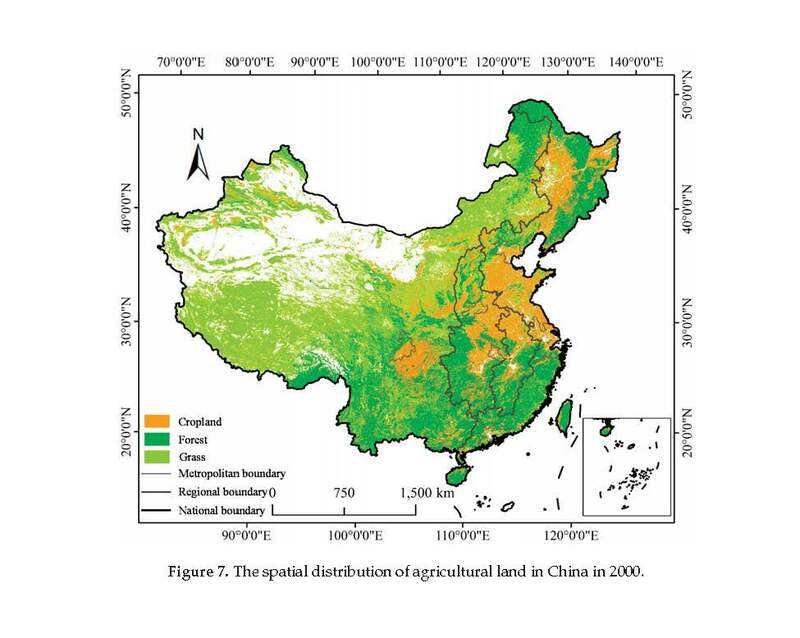 The so-called “miracle in China” feeds 22% of the world's population with just 7% of the world's arable land. How does it do it? Essentially through intensive farming methods using genetically modified crops along with plenty of pesticides and insecticides. This is proving problematic with soil and ground water pollution a significant ongoing issue and what’s more, people’s trust in food quality is at a new low after repeated food security scares. ​As more farmers leave the land for the cities, and children choose to seek other more financially remunerating life choices, who will keep on farming? Land is starting to become increasingly under-utilised in rural areas at a time when more food is needed than ever, especially as some of the nation’s best agricultural land close to populations is exchanged for development and city expansion. The Pearl River Delta, has seen an extraordinary 13% of its cropland and 6% of grassland lost to development in the first dozen years of the current millennium. ​​There is a pressing concern of food provision and security for coming years and radical changes are going to need to be adopted. Food needs to be close to end users, this keeps down the costs of handling and transport, providing fresher better quality product and needs to be able to be grown without negatively impacting the environment. It seems clear that an agricultural revolution is coming, where food will be the latest product to undergo the radical changes of new technology. 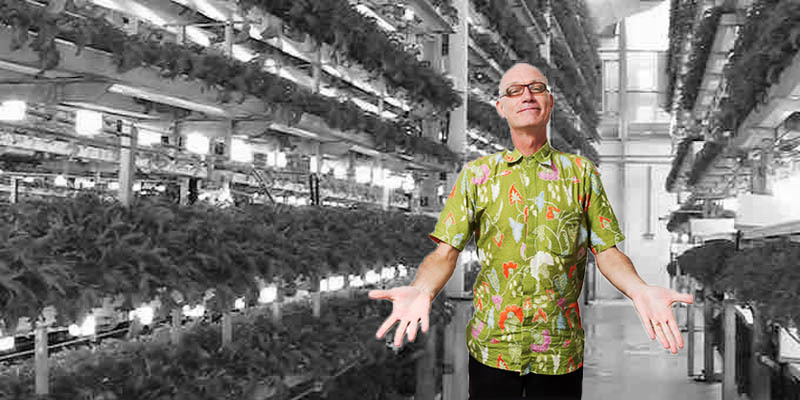 ​With renewable energy threatening to bring the costs of electricity close to zero, and LED lights providing wide spectrum light quality, intensive mass urban farming is a now viable proposition, whereby crops can be grown indoors in vertically stacked racks, hydroponically and under artificial lights. 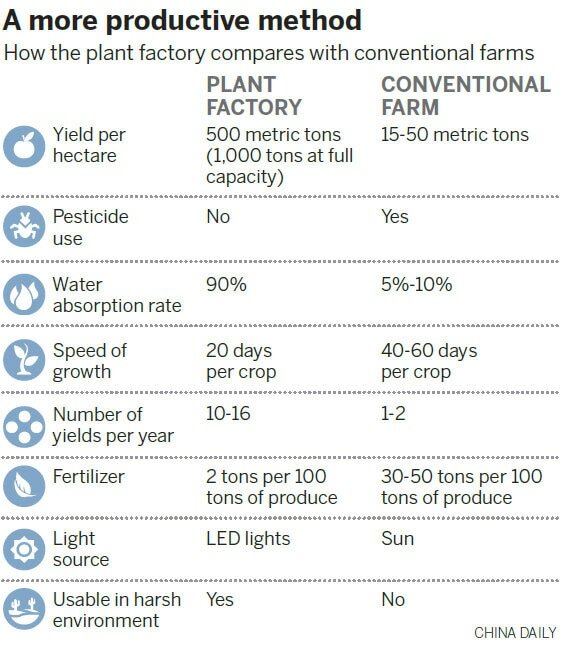 China currently has the world’s largest such vertical farming complex, located in Fujian on a 1 hectare site. These mass indoor production facilities can be located close to the big population centres. They can also benefit from using exact and minimal inputs such as fertilizers; grow crops in ultra-clean, safe, pest-free environments; provide much faster growth cycles; and carefully control reuse and discharge of water. In fact, every building could eventually have its own vertical farming facility, including utilising roof space. Whilst there are clearly economic, production, waste and logistical benefits with new technology farming, what might be some of the problems to be faced? How will the population react to purchasing and eating such food? Can we anticipate unforeseen long term deficiencies in food grown without the natural inputs of sun, soil or organisms?Might the consumption of pure, unadulterated food lead us in the longer term to loss of the body’s immune tolerance to basic threats? ​​​​In the coming shift to more of such production economies, what might become of the more remote rural land, no longer economically viable to be intensively farmed? Will some of it be able to return to naturalised habitat, allowing native species to recolonise, soils to repair and ground water to recharge. Could rural communities utilise it to generate better incomes through farming high quality organic produce? Can rural populations find potential opportunities to stay on the land and manage it for future generations? It seems that massive changes in food production will be necessary to feed the planet population explosion and that those responsible for its production will be at the heart of massive social shifts in the near decades to come.